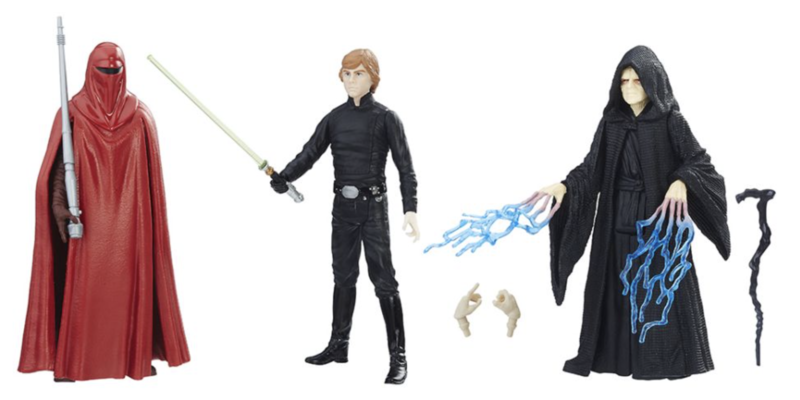 Yahoo Movies has posted an article covering dozen of products that will be available on Force Friday and beyond – including this cool set of Return of the Jedi figures we rumored a couple weeks ago. Another midnight product launch has come and gone, but the news is not over as we are back this week to discuss the latest developments in Star Wars collecting. Rogue Friday proved to be a more subdued, but more satisfying experience for many this year as stores seemed to have a good amount of merchandise to satiate needy collectors. Flyguy and I discuss our experiences as well as several announcements that came in the hours before and after Sept. 30. Enjoy the super-sized, and wallet draining Episode 105 of The Realm Recap. Click on through to check out the latest episode and feel free to subscribe to our channel. Also, if you prefer an audio-only version, a downloadable MP3 is available as well. Episode #96: Star Wars Day Every Day. On this latest episode, Flyguy and I discuss the reveals and announcements from companies such as Funko, Hot Toys, Sideshow and more as we celebrate May the Fourth: Star Wars Day. The big news didn’t stop with products though as we already have a new date to mark in our calendars as Lucasfilm and ReedPOP announce Celebration Orlando for April 2017. All of this and more PLUS our latest acquisitions on Episode #96 of The Realm Recap. 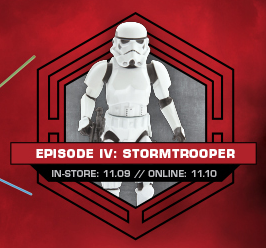 In case you missed the in-store offering yesterday, DisneyStore.com has their exclusive Elite Series Episode IV Stormtrooper Die Cast Figure up for order. With blaster and standing base, this armored sentinel will make a fierce addition to your collection.